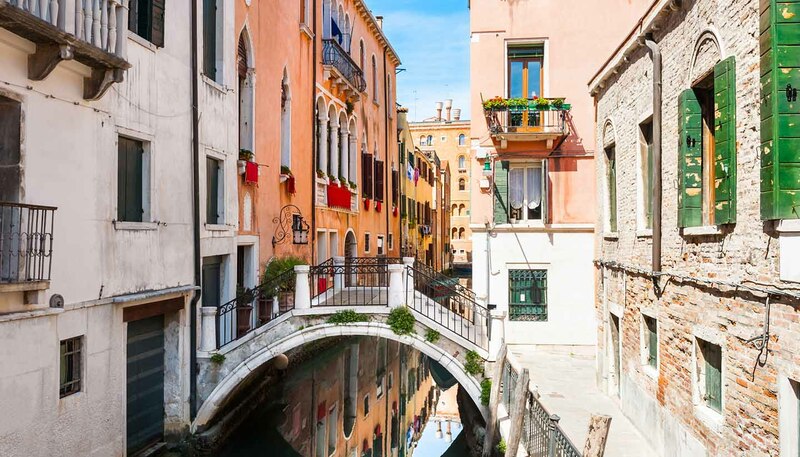 Venice has a Mediterranean climate, characterised by hot and muggy summers and cool and wet winters. The most popular tourist season is April to October, but crowds are common at any time of year as festivals and cultural events are always happening. Spring (March to May) is warm and pleasant, with temperatures gradually increasing to reach highs in May around 22°C (71°F). Summer (June to August) is beautiful but hot and humid, with temperatures in July and August hovering around 27°C (80°F). Autumn (September to November) starts off warm and temperatures steadily decrease to around 12°C (54°F) in November. Winter (December to February) is the driest season but low temperatures average around 5°C (41°F) for the season.